The London Review of Books – Europe’s leading magazine of culture and ideas – has hired specialist PR agency Riot Communications to help celebrate the LRB’s 40th anniversary this year. 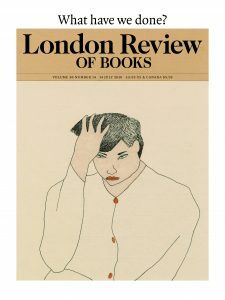 Published twice monthly, the LRB attracts some of the best writers in the world, musing on a wide range of subjects, in longform, from politics and technology to art and poetry. With the highest circulation of any magazine of its kind in Europe, it is renowned as an exponent of the intellectual essay, admired globally for its fearlessness, its range and its elegance. Riot Communications MD Preena Gadher said: ‘A reader once described the LRB as “the best thing about being a human” and I know exactly what they mean. The writers that the magazine attracts are outstanding, and whatever mood you are in, there is guaranteed to be something in each issue that resonates. The LRB helps me make sense of the world.